When she replaced the receiver she realized her hand was shaking almost violently. She tucked it under her arm like an annoying old sock and took a deep breath. 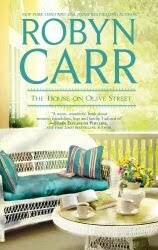 From The House on Olive Street by Robyn Carr, pg. 14. First line: Doctor Ravell had already missed the funeral. From the inside cover: It is 1903. Doctor Ravell is a young Harvard-educated obstetrician whose reputation for helping couples conceive has made him a rising star. 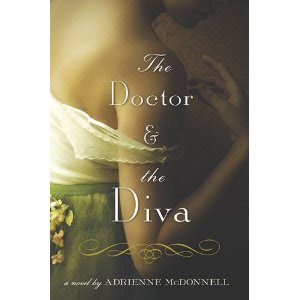 He is flattered when a family of illustrious Boston physicians turns to him to treat one of their own members - a lovely opera singer named Erika von Kessler, who has struggled for years to become pregnant. As his attraction to her increases, and his treatments prove ineffectual, the pressure on the young doctor mounts. By the time she meets Ravell, Erika has lost all hope of becoming a mother. Her extraordinary voice is gathering acclaim, and she is determined to move to Italy to launch her career in earnest. But becoming Doctor Ravell's patient will change Erika's life in ways she never could have imagined, and she has no idea of the lengths to which her husband will go to keep her by his side. Lush and stunningly realized, The Doctor and the Diva moves from snowy Boston to the tropical forests and plantations of the Caribbean to the gilded balconies of Florence. This is a tale of romantic obsession, longing, and a woman's irreconcilable desires as she is forced to choose between the child she has always yearned for and the artistic career she cannot live without. Inspired by the author's family history, the novel is sensual and heart-stopping in its bittersweet beauty. My thoughts: This is an interesting novel that takes place in Boston, Trinidad, Florence, Venezuela, Milan, and other exotic places during the very early 20th century. It is a book that explores the strange dynamic that emerges between a married couple and their doctor and how each of their choices and actions impact not only their own lives, but one another's as well. A spontaneous decision by one acts as a catalyst for all that follows, as their competing desires inexorably push them down a path of unintended consequences. The story and characters truly come to life within the book's pages and I couldn't help but feel myself become emotionally involved as I was reading. I think writing the book in third-person really worked, allowing us to waiver between each of the three main characters - having access to and insight into each of them. Adrienne McDonnell used her husband's family history as inspiration for this book - his great-grandmother left her husband and young son to pursue a singing career in Italy. This was Adrienne McDonnell's first book and I look forward to seeing what else she writes. First line: Benita Sanchez was almost as afraid of running into a rattlesnake as she was U.S. Customs and Border Protection. From the back cover: Twelve people have been shot at point-blank range and left to rot in the desert sun. It's Sophia St. Claire's job to do something about it. She's Bordertown, Arizona's new chief of police - and she's out of her depth. Rod refuses to leave town until the killer is caught. He's not worried about the danger posed by some vigilante. It's Sophia who threatens him. Because he's used to risking his life - but his heart is another story. My thoughts: This is the second in Brenda Novak's Heat trilogy to be released August 31st and it is another romantic thriller. Again, the private security company, Department 6, is involved, but this time it's due to a personal request. Roderick Guerrero, a Department 6 employee, heads to his hometown of Bordertown, AZ, at the request of his estranged father. Chief Sophia St. Claire has her hands full trying to solve the twelve murders in her town - all while the town council watches, hoping she fails. When these two cross paths, it's animosity at its best. Can they put the past behind them and work together to solve these murders and find out who's out to ruin Sophia at the same time? This action-packed read will keep you hungry for more, devouring the pages to see what happens next and to see if Rod and Sophia can put that past behind them once and for all. I thoroughly enjoyed Body Heat and look forward to the final installment of this trilogy, Killer Heat, due out the end of September. If you're not enjoying a book, will you stop mid-way? Or do you push through to the end? What makes you decide to stop? I can't remember the last book I started reading and stopped. I try very hard to finish all the books I start. Most times, I am glad I did, as a slow start usually gives way to a compelling story. However, if the book was really not doing it for me, I would probably just put it down - there are way too many books out there that I want to read to waste time reading something I am not enjoying. First line: Before husbands, before babies, before life claimed other loyalties, it started with a wish. From the inside cover: When Quincy, Jules, Talia, and Chloe become New York City roommates in the early nineties, they become fast friends despite their drastically different personalities. Now, nearly twenty years later, their lives have diverged as much as they possibly can within one city: Quincy is mourning a miscarriage and lusting for the perfect Manhattan apartment; Jules, a woman with an outsize personality, is facing forty alone; Talia, married and the mother of a four-year-old, is her family’s reluctant breadwinner; and Chloe faces pressure from her hedge fund manager husband to be more ambitious. As these women grapple with the challenges of marriage, motherhood, careers, and real estate, they can’t help but assess their positions in life in comparison to each other–leading them to envy and disillusionment. 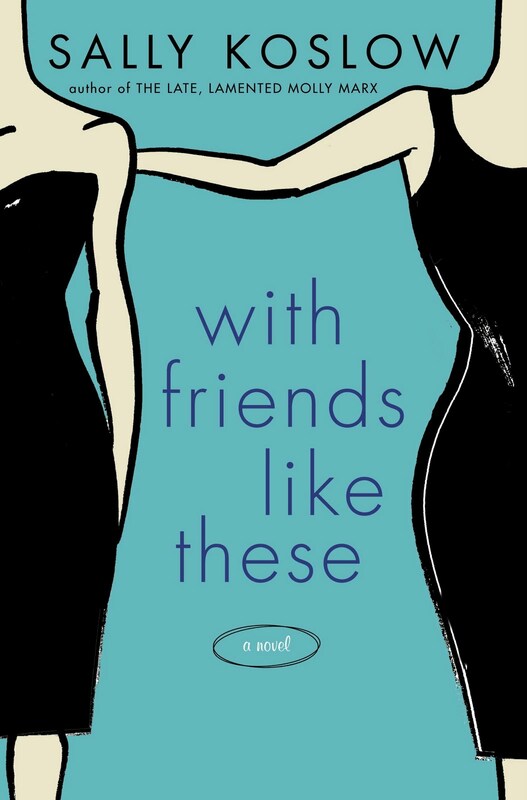 Honest and entertaining, and written in Sally Koslow’s trademark wry, vivid prose, With Friends Like These asks serious questions about what makes female friendship endure, and to whom a woman’s loyalty most belongs. My thoughts: This is the story of four women, all in their late 30's and early 40's, who've been close friends since they shared an apartment in Manhattan in their unmarried days. Now, they are living separate lives, some married, some with children, some loving their job. Looking at a year in their lives, we see how their friendship has evolved and how they treat each other - not always the way friends should treat each other. Betraying confidences, taking job offers, and sabotaging real estate aspirations take their toll on the once-close friendships these women enjoyed. 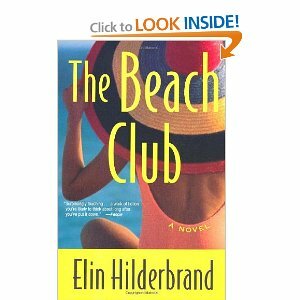 I loved how each chapter was told in first person alternating between the four women. You really get into their heads and get a true sense of who they each are. Each character was vividly written and I felt like they were my own friends by the end of the book. I also felt that each chapter left you hanging, so that you couldn't help reading to find out more. Great book and I look forward to reading more of Sally Koslow's books. 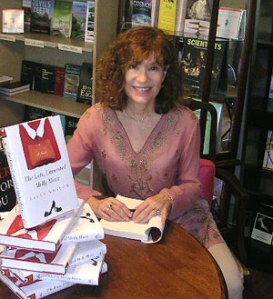 About the author: Sally Koslow is the author of The Late, Lamented Molly Marx and Little Pink Slips. Her essays have been published in More, The New York Observer, and O, The Oprah Magazine, among other publications. She was the editor in chief of both McCall’s and Lifetime, was an editor at Mademoiselle and Woman’s Day, and has taught creative writing at the Writing Institute of Sarah Lawrence College. The mother of two sons, she lives in New York City with her husband. You can find more information about Sally by visiting her website. I received a complimentary copy of With Friends Like These by Sally Koslow from Pump Up Your Book Promotion as part of the tour. I am pleased to welcome Jenny Nelson, who wrote Georgia's Kitchen to Always With a Book. You can read my review of her book and enter a giveaway for the book here. 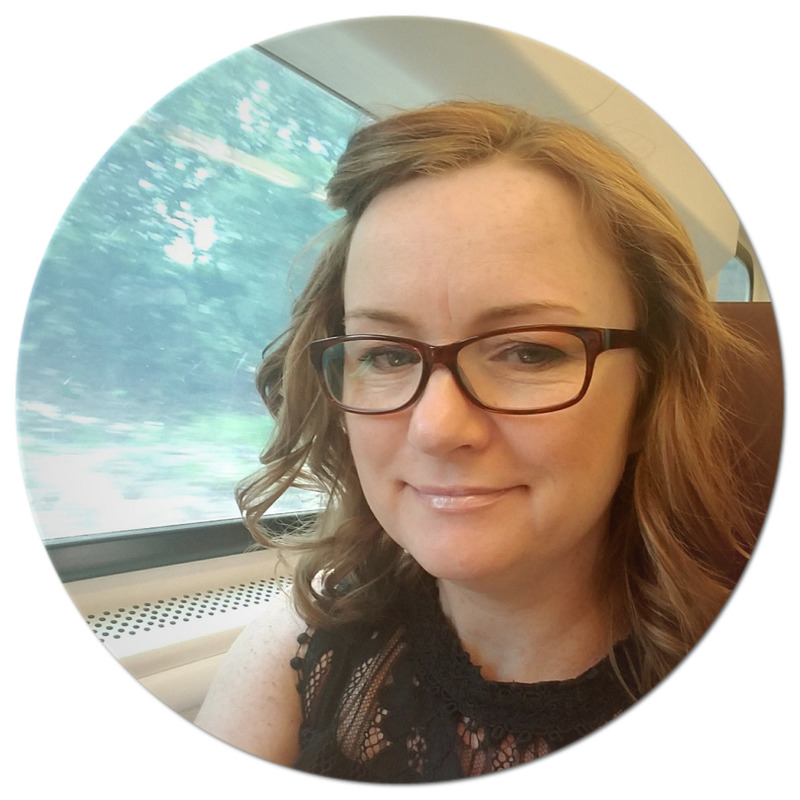 About the author: Jenny Nelson grew up in Larchmont, NY and graduated with a BA in English Literature from the University of Colorado at Denver. A former web editor and producer, she worked for companies such as iVillage, Vogue.com and Style.com. 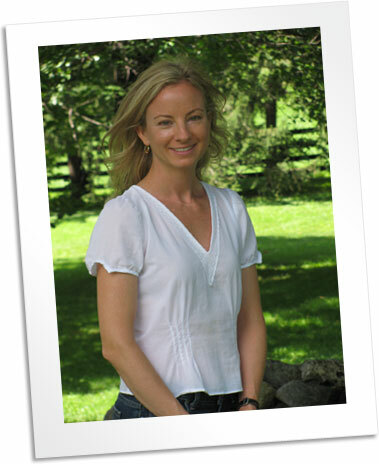 She lives with her husband, twin daughters and dog in Millbrook, NY and Manhattan. Georgia’s Kitchen is her first novel. Thanks to Jenny for answering a few questions. I'm a restaurant junkie. Or at least I was pre-kids, when I lived in Manhattan full-time. Having logged serious hours in all sorts of New York restaurants, I knew there was a story brewing back in those steamy, cramped kitchens that were off limits to us mere civilians. As my ideas about Georgia began to crystallize, I decided she had to be a chef. Sending her to Italy made sense because it's a mecca for foodies and it's also one of the most beautiful spots on earth. It was the perfect place for her to become reacquainted with her inner beliefs and her passion for cooking, and the option of throwing in a gorgeous Italian boyfriend didn't hurt either! What gets you started on a new book? A character or story idea or ... ? It's really a combination of both. With Georgia's Kitchen, I knew I wanted to set the book against the backdrop of a New York City restaurant, and also involve Italy in some way. Then Georgia popped into my head and the more I thought about who she was, how she acted, where she came from and where she was going, I realized she had to be a chef, a talented, savvy chef who faces some pretty severe obstacles in both her professional and personal lives. The two elements - story and character- really fed off each other. As a child, did you ever dream that you would be a published author? As a child, did you like to read and write, and if so, what were your favorite books? Reading was and is one of my greatest joys. As a child, I devoured every book I could get my hands on and was that kid under the covers with a flashlight and a book. I loved Laura Ingalls Wilder, Judy Blume, Beverly Cleary, C.S, Lewis, The Ballet Shoes series by Noel Streatfield, Harriet the Spy, The Westing Game, From the Mixed Up Files of Mrs. Basil E. Frankweiler - I could go on and on. I can't wait to introduce my twin six-year old daughters to these books and hope they are as moved by them as I was (and still am!). I still remember the first "serious" story I wrote, when I was in fourth grade. I wrote it in one of those beige composition books and it was - oddly enough - a murder mystery, where the weapon was an icicle that melted away. I certainly wasn't reading any murder mysteries (Encyclopedia Brown, yes Agatha Christie, not so much), and the only TV programs I regularly watched were Little House on the Prairie, The Waltons, and Eight Is Enough, although, come to think of it, I used to love sleeping over at my best friend's house because we could watch Fantasy Island, which definitely got a little murderous. I was quite proud of the story! When I'm writing, I write every day during the week and occasionally on weekends. Sometimes I write for stretches of four hours, sometimes one, but always with frequent tea, coffee, and water breaks (and therefore frequent bathroom breaks, too!). It really depends on where I am in a story. Right now I'm working on my second novel, and with all the excitement of preparing for the launch of Georgia's Kitchen, it's pretty slow going. It's hard to switch gears and concentrate on a new set of characters and a brand-new situation. I just finished That Old Cape Magic by Richard Russo, and I'm reading a collection of stories by Maile Meloy called Both Ways Is The Only Way I Want It, which is excellent. New up is the second installment in The Girl With the Dragon Tattoo series - loved the first, and Little Bee, which I've been wanting to read for a while. Yes! In a nutshell, its about a thirtysomething woman who trades in her cosmopolitan city life for country living. Like Georgia's Kitchen, it's got a food motif running through it and it explores themes of love and family and renewal. Write! I feel like a broken record saying this, but the biggest impediment to writing is not writing. Don't worry if what you're writing is any good, just get the words down - there'll be plenty of time for polishing, revising, and plain old chucking (and believe me, I've done lots of this) later. If you can find a writing class, sign up. They're great for learning craft and imposing deadlines and for making you feel part of a community of writers, which is really cool and really important. First line: "Shey Lynne, you've been here three months now and not once have you taken those boys to church." From the back cover: Shey Darcy, a thirty-nine-year-old former top model for Vogue and Sports Illustrated, led a charmed life in New York City with a handsome photographer husband, until the day he announced he'd fallen in love with someone else. Left to pick up the pieces of her once happy world, Shey decides to move back home to Texas with her three teenage sons. Life on the family ranch, however, brings with it a whole new host of dramas, starting with differences of opinion with her staunch Southern Baptist mother, her rugged but overprotective brothers, and daily battles with her three sons, who are also struggling to find themselves. Add to the mix Shey's ex-crush, Dane Kelly, a national bull-riding champ, and she's got her hands full. It doesn't take long before Shey realizes that in order to reinvent herself, she must let go of an uncertain future and a broken past, to find happiness - and maybe love - in the present. My thoughts: This was a quick, fun read. The story that Jane Porter creates is one that is easy to relate to. The girl who thought life was going pretty well had to adjust to some devastating news - her husband of seventeen years was in love with someone else. Deciding to take herself and her three boys back to her hometown in Texas isn't going to be as easy as she thought. Living so close to her mother, with her staunch Baptist ways, is only half the battle - there's also her overprotective brothers to deal with; her three sons aren't exactly thrilled to pick up from the fast life of New York City and move to Texas; and her ex-crush, who is dealing with the hand life has dealt him, seems to be there every time Shey turns around. Shey's story will keep you turning the pages until the very end. Jane Porter writes from her heart, delving into issues that many women face, such as balancing work with family, children's demands, and their own personal needs. A fast-paced novel, filled with a little romance and characters that are well-developed, this was a great summer read and I look forward to reading more of Jane Porter's books. 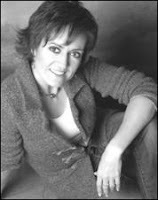 About the author: Jane Porter is also the author of Easy on the Eyes, Mrs. Perfect, Odd Mom Out, Flirting with Forty, and The Frog Prince. she lives in Seattle, Washington, with her three sons. You can find more information about Jane at her website. 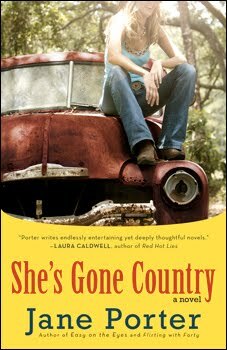 I received a complimentary copy of She's Gone Country by Jane Porter from Crystal BookSparks PR to review. Crystal at BookSparks PR has provided one copy of this awesome book for readers of this blog! To enter (required entry): Leave me a comment letting me know that you want to win She's Gone Country. 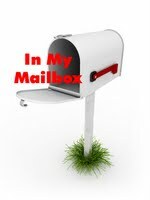 Please include your e-mail address in your comment, so that I have a way to contact you if you win. No e-mail= no entry! Bonus Entry (+1) Comment on one other current giveaway you have entered from my blog. If you have entered more than one, you can comment separately on each for more entries. Be sure to leave your email address and it must be a separate entry to count. Not a separate entry = no entry! This week's question: How many blogs do you follow? According to Google Reader, I follow just over 100 blogs. While I can't possibly get to every blog every day, I do try to visit a bunch each day (5-10), time permitting, and leave a comment or two. On the weekends, I usually have more time to visit and take advantage of that. I am always looking for new blogs to follow, but also love checking out the ones I already do. 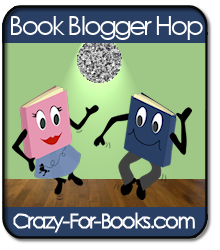 Most of the +100 are book blogs, but a few are family members' blogs that I enjoy following, too. One in particular is my mom's blog - a blog about her experiences in the Peace Corp.
First line: I don't remember that night much anymore. From the back cover: The lives of three women collide on a suburban night: Veteran Boston police detective D.D. Warren is called to the scene of the murder of a family whose sole survivor lies clinging to life ... Nurse Danielle Burton works in a locked-down pediatric psych ward, haunted by a tragedy she's desperate to conceal ... Victoria Oliver will do anything to protect her troubled son - even when the threat comes from within her own home. This investigation will bring these remarkable women together - and sweep all three closer to the edge than they've ever been before. Dangerous, haunting, and crackling with surprises, Live To Tell is an enthralling tale of family, murder, and suspense, from a master of the genre. My thoughts: This is the fourth book in the Detective D. D. Warren series but the first one I have read. Now, if you know anything about my reading habits, I usually don't start reading books in the middle of a series, but I gave it a go this time. I certainly wasn't disappointed, nor did I feel lost at any point. While the first three books might have given more insight into Detective D.D., I still felt as if I could understand her a bit. 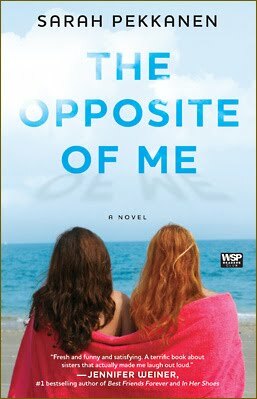 I really loved how this book was told from three perspectives - D.D., Victoria and Danielle, and how in the end, you find out how they are all connected. Each chapter was short, much like James Patterson's books, and each contained just enough suspense to leave you wanting more. There are endless twists and turns to the plot - whenever you think you have it all figured out, something new and unexpected happens. The subject matter of this novel, dealing with psychologically disturbed children, is really interesting. This is a complex topic, yet Lisa Gardner treats it with respect and sensitivity. There were some supernatural elements added to the book that, while not my cup of tea, did enhance the story. I think I will be going back to read the first three books in this series - I only hope they are as good as this one! 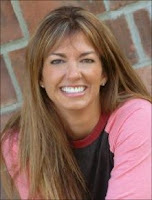 About the author: Lisa Gardner is the New York Times bestselling author of twelve novels. Her Detective D.D. Warren novels include The Neighbor, Hide, and Alone. 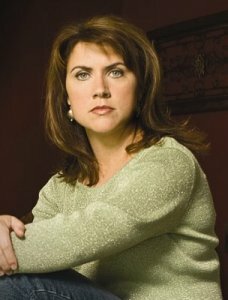 Her FBI Profiler novels include Say Goodbye, Gone, The Killing Hour, The Next Accident, and The Third Victim. She lives with her family in New England, where she is at work on her next D.D. Warren novel, Save Me, which Bantam will publish in 2011. You can find more information about Lisa by visiting her website. 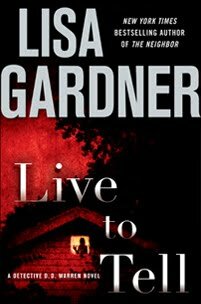 I received a complimentary copy of Live to Tell by Lisa Gardner from Pump Up Your Book Promotion as part of the tour. I am pleased to welcome Lisa Unger, who wrote Fragile to Always With a Book. You can read my review of her book and enter a giveaway for the book here. About the author: Lisa Unger is an award winning New York Times, USA Today and international bestselling author. Her novels have been published in over 26 countries around the world. Thanks to Lisa for answering a few questions. FRAGILE is very loosely based on an event from my own past. In high school, a young girl I knew was abducted and murdered. It was a horrifying and traumatic event in a small, quiet town. Nothing like that had ever happened there before. I remember quite vividly the frenzy of her disappearance, the dismay and horror when her body was discovered, the nightmare of her wake. All of this changed the way I saw the world. And in some sense, this book is heavily influenced by that experience. The story has tried to tell itself in various other partials over the years, but has never emerged as a full-length novel. Because I write without an outline and don’t really know day to day what is going to happen or how a book might end, I was about half way into FRAGILE when I realized what it was about … and that I had been trying to tell the story for many years. It’s interesting that the characters who finally succeeded in telling the tale were older, more mature. And that it took me the writing of eight novels to develop the skills to tell it well. It could be anything really a line from a poem, a new story, even a photograph that is the seed for a new novel. And if that seed finds fertile ground in my subconscious, I start hearing voices. It’s always a character voice that pulls me into (and through) a novel. Plot flows from the characters, who they are, what’s going on in their lives and how they’re dealing with it. In the case of FRAGILE, it was Maggie Cooper’s voice that I heard first. As a child, did you ever dream that you would be a published author? I don’t remember a time before I defined myself as a writer. Making a living as a writer is the only thing I ever wanted to do with my life. So I’m very grateful. It’s a dream come true. As a child did you like to read and write and if so, what were your favorite books? I think most writers will tell you that their first love was reading. And I have been an avid reader since I could read. I inherited this love from my mother, who always had a pile of books and worked at a library for many years. I have been a literary omnivore, never discriminating across gender lines or genre. As a kid, I remember loving the poems of Shel Silverstein, books by Judy Bloom and Beverly Cleary. I loved Dickens, the Brontë sisters, Wilke Collins, Thomas Hardy. I count Truman Capote’s Other Voice, Other Rooms and In Cold Blood as some of my earliest influences, the books that first made me want to write. As I got older, I loved Sidney Sheldon, VC Andrews, and anything I could get by Stephen King. I think I went through a science fiction phase at one point. I could go on and on! My golden creative hours are from about 5 AM to noon. Of course, I have a small daughter. She comes before everything else … and she also likes to get up between 5 and 6 AM. Luckily, my husband is on board to help, but I always like to be with her first thing, make her breakfast and see her off to pre-school … so the early hours are hit or miss. I have my uninterrupted writing time when she’s in school. If I haven’t met my goals by the time she comes home, I work again after she goes to bed. The writer/mother thing can be a difficult balance, and sometimes I need support in the afternoons. But mainly it works. And I feel blessed to do what I love and still be present every day for my little girl … who’s getting bigger every minute. I am looking forward to reading Beautiful Lies by Rebecca James. And I’m just getting started on an early read of Amanda Eyre Ward’s upcoming Close Your Eyes. I just turned in my tenth novel, which will publish in 2011. 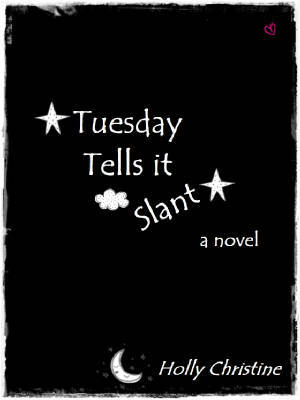 And I have already started work on the novel that will publish in 2012. The best advice I can give aspiring writers is to write every day. Writers don’t think about writing, they don’t talk about writing. They don’t have a hundred excuse about why they didn’t write. They just write. Don’t follow trends, or think about publishing. Just sit down and try to be a better writer today than you were yesterday. And read. Read everything you can get your hands on. It’s the only way to learn about writing, doing it and reading the people who are doing it best. First line: Georgia turned onto a tree-lined street of brick town houses and brownstones, stopping when she reached a gunmetal-gray low-rise that shared none of its neighbors' quiet charm. From the back cover: At thirty-three, talented chef Georgia Gray has everything a woman could want - the top job at one of Manhattan's best restaurants; a posse of smart and savvy gal pals who never let her down; and a platinum-set, cushion-cut diamond engagement ring courtesy of Glenn, the handsome entertainment lawyer who Georgia's overbearing mother can't wait for her to marry. The table is set for the ambitious bride-to-be until a scathing restaurant review destroys her reputation. To add salt to her wounds, Glenn suddenly calls off the wedding. Brokenhearted, Georgia escapes to the Italian countryside, where she sharpens her skills at a trattoria run by a world-class chef who seems to have it all - a devoted lover, a magnificent villa, and most important, a kitchen of her own. Georgia quells her longings with Italy's delectable offerings: fine wine, luscious cheeses, cerulean blue skies, and irresistible Gianni - an expert in the vineyard and the bedroom. So when Gianni temps Georgia to stay in Italy with an offer no sane top chef could refuse, why can't she say yes? An appetite for something larger than love weighs heavy on Georgia's heart - the desire to run her very own restaurant. But with a ruined career in New York and no business partner in sight, she must stir up more than just the courage to chase after her dreams if she is to find her way home. My thoughts: This was a light, entertaining and very charming story. Right from the beginning I was pulled in - how would Georgia recover from a day that completely threw her for a loop - losing her job and her fiance within hours of each other. What I really liked about this book is that this isn't the typical happily-ever-after story where girl loses love, girl finds love and gets all her dreams handed to her. Yes, Georgia does find a hot guy who's interested in her in Italy and he does try to give her everything she wants, but Georgia realizes, thanks to her mentor, that she has a lot already and just needs to focus on that. Rather than taking the easy way out to get what she wants, Georgia works hard and while there are a few bumps in the road, she is happy with the end result. Jenny Nelson does a fabulous job capturing the details and creating a vivid setting. I felt as if I was alongside Georgia in Tuscany and in New York and the food - I wish I could have tasted all the meals Georgia created - they all sound so tasty! 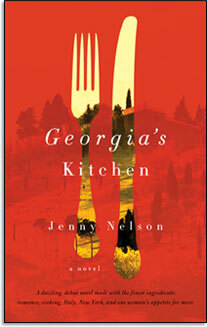 I received a complimentary copy of Georgia's Kitchen by Jenny Nelson from Crystal BookSparks PR to review. To enter (required entry): Leave me a comment letting me know that you want to win Georgia's Kitchen. Please include your e-mail address in your comment, so that I have a way to contact you if you win. No e-mail= no entry! Bonus Entry (+2) Georgia escapes to the Italian countryside to soothe her bruised ego. Where would you go to escape? Be sure to leave your email address and it must be a separate entry to count. Not a separate entry = no entry! They were walking back toward the front of the house, past the dining room, when it came to her. She drew up short. From Live to Tell by Lisa Gardner, pg. 31. First line: The two boys rode their mountain bikes along the soft uncovered lake bed between the Bartam's Field subdivision and the old Holly Hills property. From the inside cover: Lily was married for just days before her husband was sent abroad to fight in WWII. Now, he and the other soldiers are returning, and the small town of Toccoa, Georgia plans a big celebration. But a handsome and kind Italian immigrant, responsible for the elaborate fireworks display the town commissioned, captures Lily's heart and soul. Torn between duty to society and her husband, and a poor, passionate man who might be her only true love - Lily must choose between a love she never knew and a commitment she'd already made. 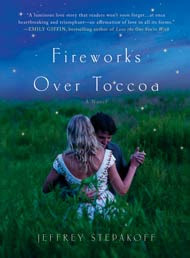 Poignant and elegant, Fireworks Over Toccoa is a mosaic of all the emotions that only love can make possible. My thoughts: This is a beautiful love story that transports you to another time. It's a tale of love and loss, of making choices and letting go. I was hooked as soon as Lily started telling her story and read the book in two sittings (and that was only because I had to be somewhere, otherwise it would have been finished in one!). It all starts with a piece of paper from the past and in explaining the significance of this paper, Lily is given a chance to teach her granddaughter that things aren't always what they seem. Mingled into the story are brief history and geography lessons and we also learn a bit about the work involved behind the beautiful firework displays we have all viewed at one time or another. I especially loved reading the author's note in the beginning of the book, telling how he came upon this charming story. This is a debut novel for Jeffrey Stepakoff and I hope to see more of his work in the future! 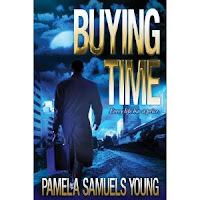 Please join me in welcoming Pamela Samuels Young, author of Buying Time to Always With a Book! If you missed my review, you can read it here. Today Pamela guest blogs about how to write a page-turner. Don’t you just love reading a page-turner? As a mystery writer, I constantly strive to write books that readers have a hard time putting down. After much trial and error, I learned to write fast-paced novels by dissecting well-written, engaging books and studying how the author structured the story. You, too, can write a page turner. Here are five tips I use that will help you keep readers turning the pages. 1. Create Characters the Reader Cares About. To hook your readers, give them characters they can root for as well as root against. If your protagonist is an underdog with the odds against her, make sure there’s a reason for the reader to be in her corner. The same goes for your villain.. If he’s a real scoundrel, readers will want him to fail. So make sure that you build your plot so readers aren’t disappointed in the end. Your characters must be intriguing as well as believable enough that readers will relate to them and care what happens to them. It’s essential that you have conflict in every chapter of your novel. Conflict engages the reader and entices them to keep reading. Conflict doesn’t mean people are arguing or yelling at each other. For me, it means the presence of one force working against another. There’s a struggle or collision of interests. For example, the prosecutor wants the defendant to go to jail, but the defense attorney is determined to see that his client goes free. Every chapter must have conflict. No one wants to read a book that meanders along with a bunch of happy people. Once you’ve set up your conflict, don’t tell it all! String the reader along. Explain that Misty has a secret in Chapter 1, but hold off on revealing the secret until later in the book. If you spill the beans too soon, you must incorporate something else to keep the suspense going. If you string the reader along to a big buildup, make sure you reward them with a bombshell that is believable and worth the wait. 3. Understand the Impact of Narration vs. Dialogue. the pacing of your novel, while extensive narration and description will slow it down. Literary fiction, which is character-driver and lauded for its poetic prose, is typically heavy on narration and description. Commercial fiction, which is plot driven, often includes more action and dialogue. Compare, for example, a James Patterson mystery like Run for Your Life (commercial fiction) versus a novel like the Emperor of Ocean Park by Stephen L. Carter (literary fiction). The latter is heavy on the narrative, the former has far more action and dialogue. If you feel your story is dragging, analyze the amount of narration versus dialogue and action and make the appropriate changes. 4. Hook Your Readers and Don’t Let Go. Many readers who aren’t already familiar with an author will make a decision to buy a book after reading just the first few pages. Hence, your opening scene is your chance to grab their attention. But don’t stop there. Make sure you grab them throughout the book. You can accomplish this through conflict and suspense and by presenting engaging characters. You must end your chapters with a hook. That will make it hard for the reader to put down the book because he’s dying to know what’s going to happen next. If your protagonist narrowly escapes a tough situation, present him with another crisis. Keep your readers on the edge of their seats wondering, What’s going to happen next? 5. Record Your Book On Tape. The last step in my writing process is to read my entire manuscript into a tape recorder and listen to it with pen in hand, ready to make any necessary changes. I often hear things that I don’t see when I’m simply reading the manuscript. I’ve discovered things like word repetitions that I missed, a lag in the pacing, and inconsistencies in my story line. After several hours of listening to my story, I’ve sometimes discovered that it takes too long to get to a pivotal events. So I go back to the drawing board. If you’ve never listened to a book on tape, try doing so before you listen to your own book. Ask yourself if the story grips you and if not, figure out why. By the same token, if the book doesn’t grab you, analyze what the writer could have done differently to engage you. If you only follow one piece of advice from this article, please follow this tip! You will be amazed at how much you will be able to sharpen your manuscript as a result of this simple exercise. About the author:Pamela Samuels Young is a practicing attorney and bestselling author or legal thrillers, Every Reasonable Doubt, In Firm Pursuit, Murder on the Down Low, and Buying Time. 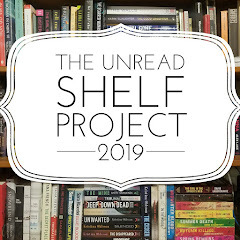 This week's question: How many books do you have on your 'to be read' shelf? This is quite a timely question as just the other day, I actually counted all the books sitting on my shelf waiting to be read...and I got 98. Of course, this number is only the physical books sitting on the shelves. I also have a little notebook I keep with me at all times where I can list books that I see either online or at the library or the bookstore, etc that I want to read and that list has 55 books on it. It seems I add to either pile much faster than I can read...but I am definitely not complaining...I always have a lot of choices of what to read next!